Each of these twenty posts will summarise the main ID features of the family illustrated with examples from one or more species from that family. The top-twenty idea is based on David Streeter’s analysis in his recent flora in which he shows that although there are about 140 families of flowering plants in Britain, around 80% of British vascular plants occur in just twenty families. This means that learning the features of these top-twenty is a really good way to improve and consolidate your plant ID skills because the chances are that most of the plants you will find routinely will be from these top twenty. The point here is, if you can confidently identify the family that a plant belongs to, then it is very much easier to work out the genus and species, because using a key you can go straight to the family key and not have to worry abut the general key to all families. 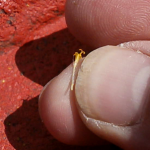 It is a big time saver and it is a big step up in your botanical knowledge and skills. Dr M starts this series with the largest flowering plant family in the world, with about 23,000 species, the amazing and varied Asteraceae! Ovary inferior and 1 celled ripening into a dry fruit which is an achene. 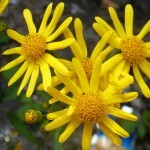 Globally a huge genus, but in Britain the genus Senecio includes the Ragworts and the Groundsels, herbaceous plants often weeds of disturbed or cultivated ground or grassland. 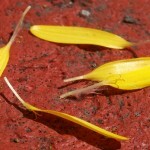 The leaves are alternate and the capitula are held in a loose or dense umbel-like inflorescence. 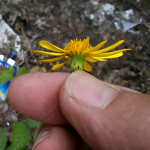 The involucral bracts (phyllaries) are in one equal row with a few short outer bracts at the base of the head. 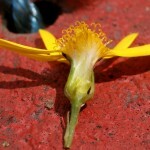 There are two types of floret in the capitulum, ray and disc florets and both are yellow. 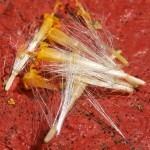 The achenes are cylindrical and ribbed and without a beak, the pappus is of white simple hairs. Illustrated here is Senecio squalidus (Oxford Ragwort) a non-native species introduced to Britain from Southern Italy and, according to the Book of Stace, first recorded in Britain in 1794. 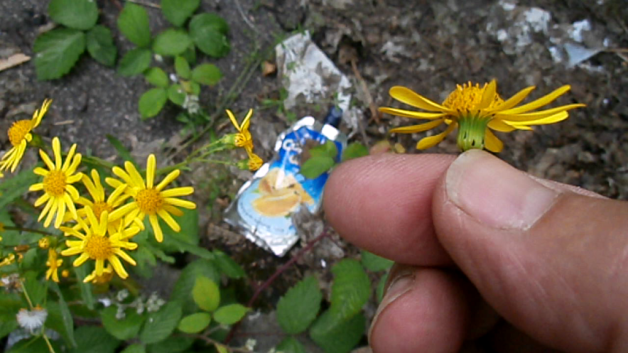 A glabrous annual weed of waste ground and roadsides with pinnately lobed leaves with the capitula 15-20 mm diameter and bright yellow ray and disc florets, flowering May to October.